Restore Your Health Naturally - Try Acupuncture Today! 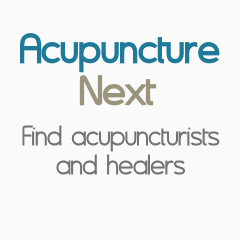 Kelly McConville is an experienced and qualified acupuncturist. He provides comprehensive and effective treatments in a safe and relaxing environment. He has offices in Poway and Ramona and has weekday evening hours available. While a general practitioner, Kelly has advanced experience in pain management, female health and pediatrics. Kelly uses an advanced style of acupuncture that minimizes the use of needles and is clinically superior in providing relief for many health complaints. In cooperation with a growing referral network of medical doctors, chiropractors, physical therapists and other health professionals, Kelly offers an integrated approach to medical care. He is committed to promoting the long term health of his patients in a caring and effective manner. For those who desire further information, Kelly is available for public speaking engagements or formal presentations. Kelly developed his interest in Oriental healing and Asian philosophy while completing his Undergraduate degree in Business at Oregon State University, and his Masters degree in Economics at San Diego State University. In his previous career, Kelly was a Corporate Bank Officer. Shortly after receiving his acupuncture license, and while a resident of Ramona, Kelly opened his first office there in 1996. Kelly and his family moved to Poway in 2002, and he then relocated his primary office there. He treats patients from Poway, Rancho Bernardo, Scripps Ranch, Julian, and the surrounding communities. Mr. McConville continues to study with advanced teachers of Chinese Medicine and incorporates many of these effective methods and acupuncture techniques in his practice. Kelly is a senior student of Dr. Wei Cheih Young, an original disciple of Master Tung. The Tung family method, used for hundreds of years in China and Taiwan, is favored by its use of only a few needles, quick results and lasting pain relief. This method, not taught in schools and not in formalized Chinese Medical texts, is gaining popularity in the United States due to its amazing effectiveness. Kelly has had an opportunity to learn this style from different teachers and has assisted in teaching this method to other acupuncturists. Cash, check, credit card, most insurance.